In early March 2015, Amazon has opened a second shop on its Chinese rival marketplace. The American online retailer Amazon.con Inc. is slowly but surely settling on its fierce rival Alibaba’s Tmall marketplace (formerly Taobao). Amazon is now offering food, women’s shoes, toys and kitchen wares on Tmall.com. Amazon’s strategy dates back in 2011 when the online retail giant created a shop for its kindle e-books readers on Tmall. Amazon is expecting to appeal to the world’s largest market. Tmall.com provides a marketplace for online retailers, and also offers monetary transactions. Tmall does not really sell its own products but makes money by taking a small cut out of each sale made by its professional clients. Amazon on the contrary is mainly buying and re-selling merchandises much like a common retail store. The U.S retailer will store its goods in its own warehouses located in Mainland China, also taking care of the logistics itself; order processing, shipping and delivery. On the long term, Amazon wishes to provide the Chinese consumers with the possibility to purchase products worldwide through this platform. Amazon first move took place in 2004 with the purchase of Joyo.com (offering Chinese books, music and video services). 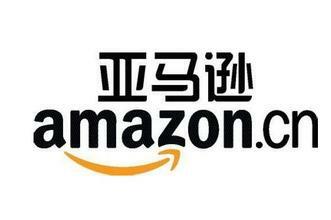 In 2011, it renamed the company Amazon.cn. But Amazon is not the only one trying to conquer the Chinese market; other western retailers like Asos, Burberry and Inditex also opened their own shop on the Chinese giant’s marketplace. An Alibaba spokeswoman declared that Amazon settling on the Chinese market would be beneficial for Chinese customers, although the two are known to be competing against each other overseas. Alibaba is also planning on making a move, Jack Ma’s marketplace is intending to open a data center in Silicon valley, stepping on AWS (Amazon Web Service) territory. Furthermore Alibaba’s Aliyun division is a serious AWS contender in China as it offers cloud storage services to US companies. The competition between the two is stiff. Why Retailers have to sell on T-Mall?